THIS weekend, Christians will be celebrating the most holy day of the religious calender. However, Bishop Thulani Ngwenya will not be giving a Good Friday sermon. This is because he was brutally murdered in the driveway of his home on Wednesday evening! 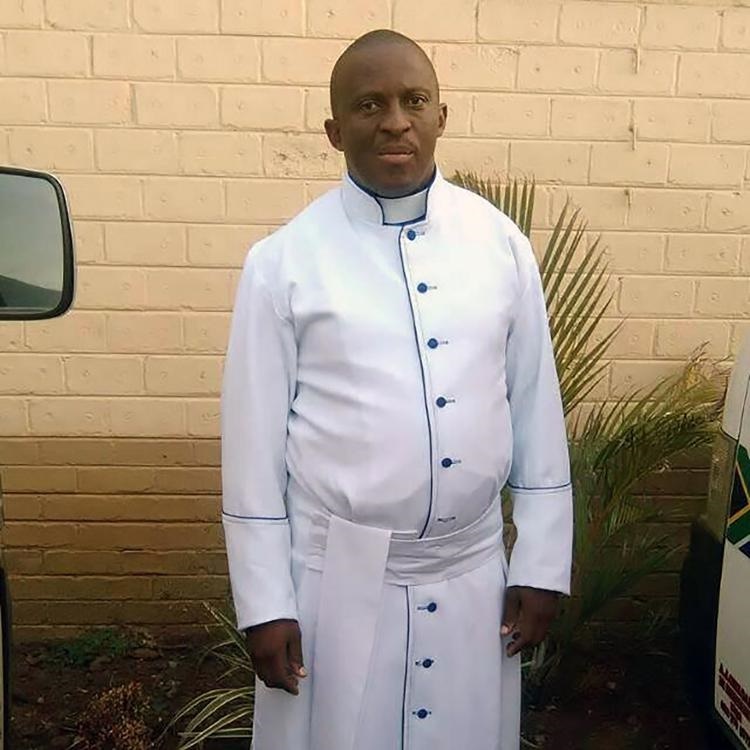 The 49-year-old founder of the Ikhaya Laba Gncwele Church of Zion was gunned down outside his house in Tembisa, Ekurhuleni. A member of the bishop’s family said he had been receiving threats telling him he would not live to see Good Friday. “Thulani had a great gift and delivered powerful sermons. Many wanted to be under his leadership because of the good man he was,” said the family member. On the day of the bishop’s death, a neighbour said he saw a suspicious car parked near his house. “Just after 8pm, we heard multiple gunshots. When it went quiet, we rushed outside to see what had happened and to our shock we found Thulani laying in the driveway. He was gasping for air,” said the neighbour. The family said an ambulance was called to the scene but the bishop died on the way to the hospital. It’s understood that on the day of his death, he had attended a church meeting to prepare for Good Friday. A family member said: “He left his wife at church and drove home. He left in high spirits and was excited about what he was planning for the Good Friday gathering. The bishop leaves behind his wife and four children. Police spokesman Captain Manyadza Ralidzhivha said a case of murder was opened but no arrests had been made. “We urge community members to come forward with any information relating to this case,” he said.